'Turn It Around: The Story of East Bay Punk' opens Aug. 11 at Rialto Cinemas, 6868 McKinley St., Sebastopol. 707.525.4840. A Q&A following the Aug. 11, 7:30pm show includes director Corbett Redford, the Phoenix Theatre's Tom Gaffney, KWTF's Ben Saari and Tsunami Bomb's Dominic Davi. 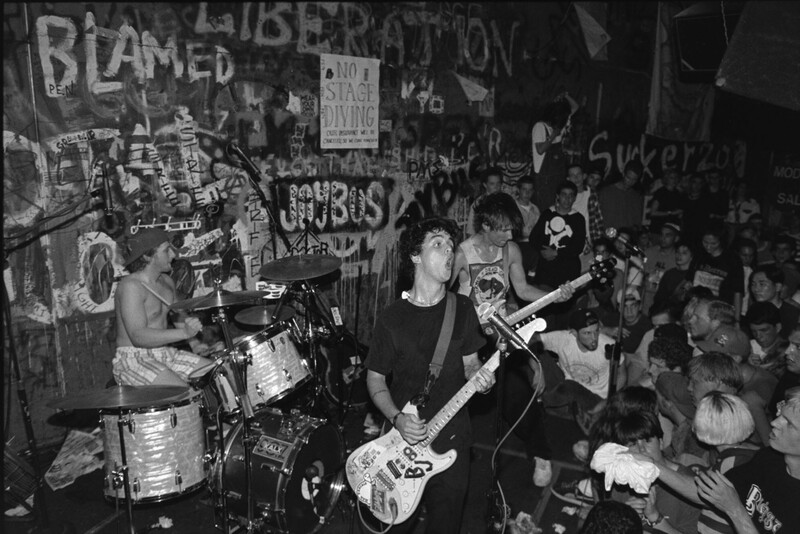 REMEMBER WHEN Berkeley’s famed Gilman Street helped launch many great bands, including Green Day (pictured), Operation Ivy and Rancid. If there were a more thorough account of second-wave punk than Corbett Redford's documentary Turn It Around: The Story of East Bay Punk, would you even be able to sit through it? The film covers about 30 years and about a thousand bands, from the kids to the elders. Surprisingly varied musicians mounted the small stage at the 924 Gilman Street space in Berkeley. Though alcohol-free and with an unofficial ban on major-label bands, this nonprofit venue still draws performers from around the world. Turn It Around is narrated in a skeptical sort of voice by Iggy Pop. If there are no stars, there are recurring figures. One was Tim Yohannan, publisher of the zine Maximum RocknRoll. Yohannan was a Berkeley Maoist who felt that punk heralded the revolution to come. Larry Livermore, writer and a founder of Lookout! Records, captured the sounds of the times. Throughout this film are the still photos of Murray Bowles, who caught hundreds of images of this underground movement. The East Bay punk scene was full of escapees from nowherevilles, all the way up to the Sacramento River and beyond—all those gloomy refinery towns between Berkeley and Crockett. Homely El Sobrante is described as a chunk of Kansas that a whimsical deity transplanted to the Bay Area. Yet "El Sob" was the cradle of Green Day, the one band that really hit the jackpot. Turn It Around is executive-produced by Green Day, but don't believe the rumor that this film credits the band with inventing East Bay punk. The auteurs of American Idiot were, for a time, Gilmanites and Lookout! recording artists. Green Day's rise provokes the shocking sight of Jello Biafra saying something nice about a band that made millions: "I'm just glad that someone from the scene had success carried out on their own terms."